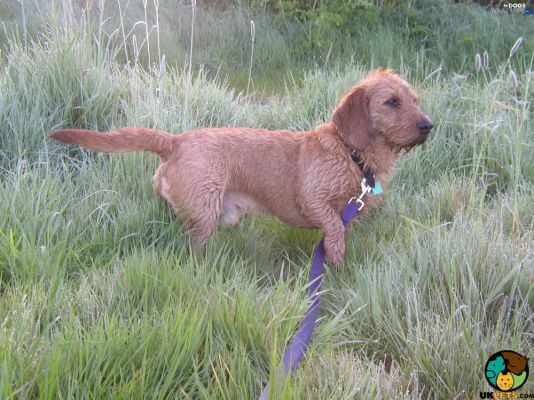 Searching for a Basset Fauve De Bretagne? Interesting facts about the Basset Fauve de Bretagne: it is one of the six recognised breeds of Bassets, and one of five with 100% French origins. It is believed to be a descendant of the now-extinct Grand Fauve de Bretagne. It enjoys being the centre of attention and loves children. It gets along with other dogs but its prey drive compels it to chase smaller animals. It is loyal, affectionate and calm but can also be stubborn. It has high grooming needs because it sheds heavily and its wiry coat is prone to tangles when ignored. Is getting a Basset Fauve de Bretagne on your list? Here is a brief background of this French hound with a wiry coat. The Basset Fauve De Bretagne is an old breed (dating back to the 1500s) that originated in France and was bred as a hunting dog. It is also referred as the Tawny Brittany Basset because it came from a place called Brittany. It descended from the now-extinct Grand Fauve de Bretagne. It is believed that the breed almost had the same fate of its ancestor as it almost became extinct after World War II. 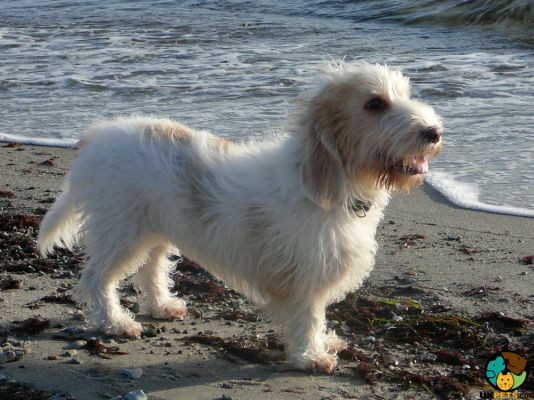 To save the breed, the last specimens were bred with the Petit Basset Griffon Vendeen, standard wirehaired Dachshunds and other hounds in the Vendee region. However, experts have denied this claim and argued that the number of Basset Fauves never became extremely low. This short-legged hound garnered popularity in the UK as a family and companion dog because of its affectionate and loyal nature, and was recognised by The Kennel Club. The Basset Fauve De Bretagne is a medium breed that can easily be identifiable because of its low body, wiry coat, and tan colour. Weighing 36 to 40 pounds and standing 32-38 centimetres at the withers, this breed has the similar short legs and long body of its Basset Hound cousin. It has a moderately domed skull, a medium-size head, short, muscular neck, and strong jaws with a perfect scissor bite. 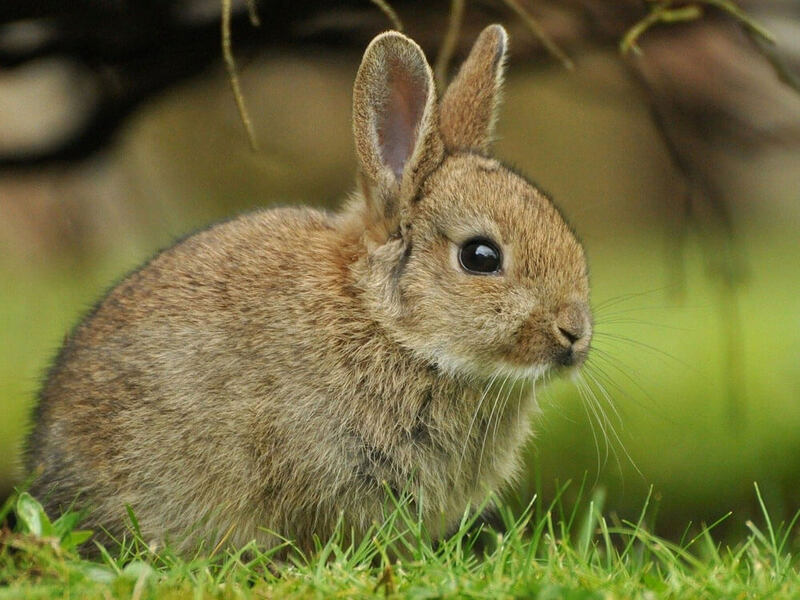 Its slightly oval eyes give off a lively expression. It has a black or dark nose with wide open nostrils. This scenthound has a harsh, dense and flat coat, which should never be long or woolly according to KC standards. The breed comes in the following colours: fawn, gold-wheaten and red-wheaten. Grooming is a bit tedious as it needs to be brushed daily to remove tangles and dead hair so heavy shedding can be under control. It needs to be hand stripped at a professional groomer’s. The hair should not be trimmed especially it participates in shows. However, the hair inside the ears needs to be removed for air circulation, which minimises the chances of ear infections. As with all breeds, it is important to take care of your Basset Fuave’s dental health. Not all dogs are comfortable with brushing so introduce this early and always make it a positive experience. Keep your dog’s nails trimmed and inspect the skin for irritations and fleas as well. 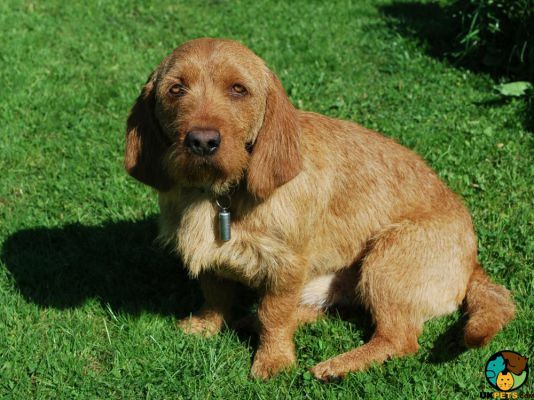 The Basset Fauve de Bretagne is a calm, affectionate, cheerful, loyal, and sociable dog. It loves being around its family and seeks plenty of attention, making it a good companion. It loves children but interactions with toddlers should always be supervised to avoid being too rowdy. As a breed with high energy and clinginess to its owners, it is best not to leave it alone in the house or it will exhibit destructive behaviour. It is an intelligent hound that is highly trainable, which will particularly excel in hunting. It has a tendency to be stubborn since it was developed as an independent hunter. This can be corrected through firm training. It generally gets along with other dogs especially those they grew up with. You have to keep an eye on this breed when there are small animals because its prey drive may get the best of him. Breeds may have common characteristics that are often expected from them. However, the dog’s behaviour, temperament and intelligence can be influenced by environment, socialisation and training. A typical serving for an adult Basset Fauve is 1.5 to 2.5 cups of excellent quality dry dog food per day. Meals should be measured and split into at least two portions instead of free-feeding for a trimmed body. The amount of food depends on your dog’s age, size, build, activity level, and metabolism. Make sure it has access to fresh, clean water every day. The Basset Fauve should be fed dog food specifically formulated for medium breeds as its nutritional requirements are different from small and large dogs. The number one ingredient must be animal-based protein like chicken, turkey, lamb, and bison to build muscles and support its active nature. Omega 6 and 3 fatty acids are also important for energy and healthy coat. Complex carbs also provide energy and aid healthy digestion. With a lifespan of 11 to 14 years, the Basset Fauve de Bretagne is one of the healthiest dogs in the world. It is known to be a breed without hereditary and congenital health conditions that often affect other breeds. As a breed with high energy needs, it needs at least two hours of exercise, which can be divided into short walks in the morning and afternoon, and then scenting games in a secured yard. It is important to always check your fencing to prevent escaping since it is a determined hunter that won’t give up once it catches a scent. Be careful not to overexert your Basset Fauve puppy, though, because it might develop joints and bones as they are still continuing to grow. 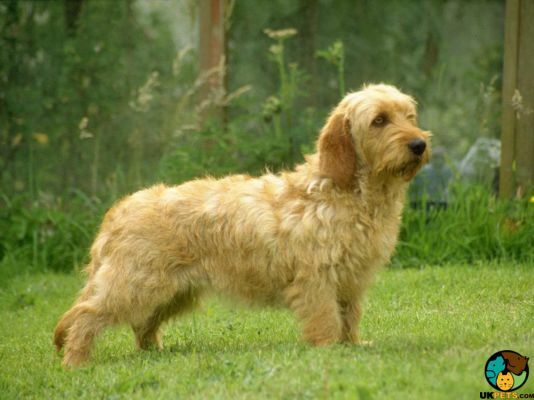 The Basset Fauve de Bretagne is a rare breed in the UK so getting your hands on this French dog breed may be a challenge and not to mention, expensive. A well-bred pedigree Basset Fauve will cost between £400 and £1,000. Before buying one, research about the breeder first to ensure you are getting what you pay for. The expenses you have to consider include food and treats (£40 monthly), regular vet checks and vaccinations (£130 annually), and insurance coverage (basic coverage £25 monthly, depending on location and health of dog). You also have to factor in initial costs for beds, bowls, leashes, toys, and other equipment. Added expenses will be professional grooming done two to three times a year (£30 per visit), which is cheaper than other breeds with more complicated grooming needs. The average monthly cost of caring for this breed will be around £80 to £120. Is a Basset Fauve De Bretagne Right for You? The Basset Fauve de Bretagne is a medium dog with high energy needs so an average of 2 hours’ worth of exercise is needed. It gets close to its human family and tends to have separation anxiety. It is a rare breed in the UK so buying one can take some time and be a lot more expensive. Although naturally intelligent, it can choose not to listen to you because it is willful and independent. Grooming-wise, brushing needs to be done daily to avoid tangles and keep shedding at bay.